Are some bread rolls I made with the stamps I bought last month whilst I was in Sydney. I use a very basic baguette recipe with instant yeast but it makes fabulous rolls. I don’t use bread flour. Instead, I used special bakers quality plain flour I get from Kakulas Sister in Nollamara. I decided to try this flour as French baguette flour is much softer than our bread flour and I couldn’t find any French flour in Perth. It works an absolute treat. The rolls are lovely and soft, with a fine crust. Are about 15 litres of olives. Our olive crop was miserable this year. I think it was because I thinned out the centre of the trees last year. Also, we have had, virtually, no rain over summer and the bloody birds got most of what was there. One day, I decided to pick what was left. I got a couple of buckets. We don’t really need olives but as it was too little to press, I decided to preserve them. I used this recipe. I have no idea how much this many olives would cost in the shop but this lot cost us less than $5.00. I bought a large bottle of vinegar and used some salt. Everything else we grew. Now, that is economical. Is some parsley powder. 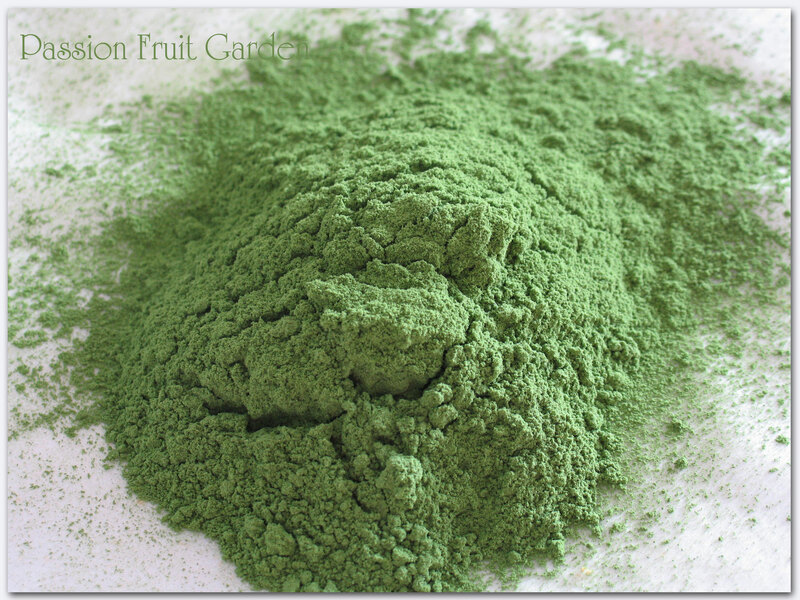 I came across this post on natural soap colourants using herbs and spices and one of the herbs used was parsley powder. The soap was a lovely delicate green. As we have parsley galore, I decided to make some powder to give it a go. I absolutely love making soap. But I have to stop myself as there is only so much rustic-looking soap two people can use. I will do a post soon on my progress. Let us just say that Aussie Soap Supplies is doing very well out of me. Remember the bread stamp that Celia made me buy? Fiona, from Tiffin, suggested I use it as a shortbread mould. It worked remarkably well. I really didn’t expect it to work so I didn’t bother refrigerating the dough or taking much care. I wish I had now because I think they would have been perfect had I bothered a bit more. All I did was sprinkle rice flour over the mould to stop the dough sticking. 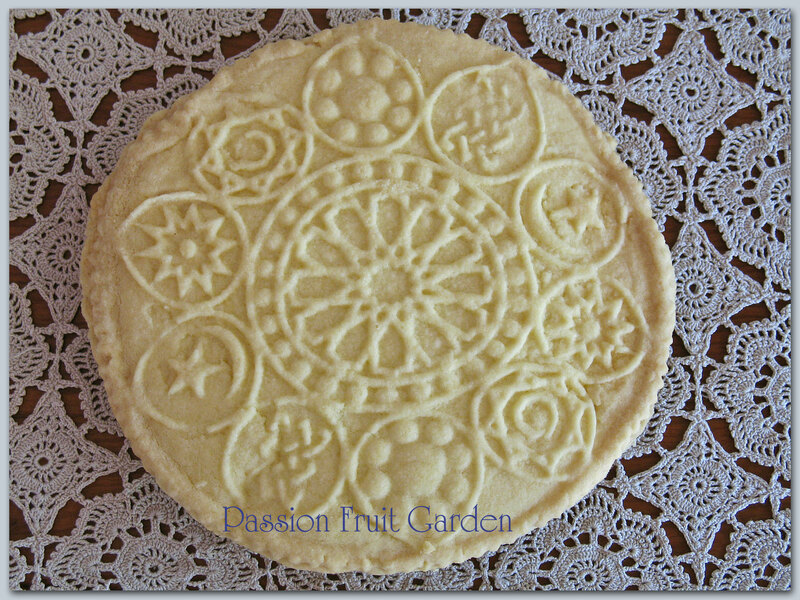 Is some very Arabic-looking shortbread. This is the backside of the mould. I think they would make a lovely gift. Is some 100% spelt sourdough bread. Spelt is an ancient grain which is related to common bread wheat. It fell from favour as a grain for cultivation in the 19th century but is enjoying a resurgence in popularity due to its value as a food source and its ability to be tolerated by many people with wheat sensitivities. Spelt contains gluten and is, therefore, not suitable for people with coeliac disease but it is low in FODMAPS so can be enjoyed by those who have trouble absorbing fructans. This loaf has a lovely open structure. It is truly amazing. My only explanation is I put my cast iron pot in the wood oven for several hours before transferring it to my electric oven. It was well and truly heated. I used this recipe and this technique – which is what I do these days, no matter what recipe I use. Is this jar of chilli powder. I have chillies galore so I decided to dry some. There are only so many chillies one can eat. This was about a one third bucket of chillies. 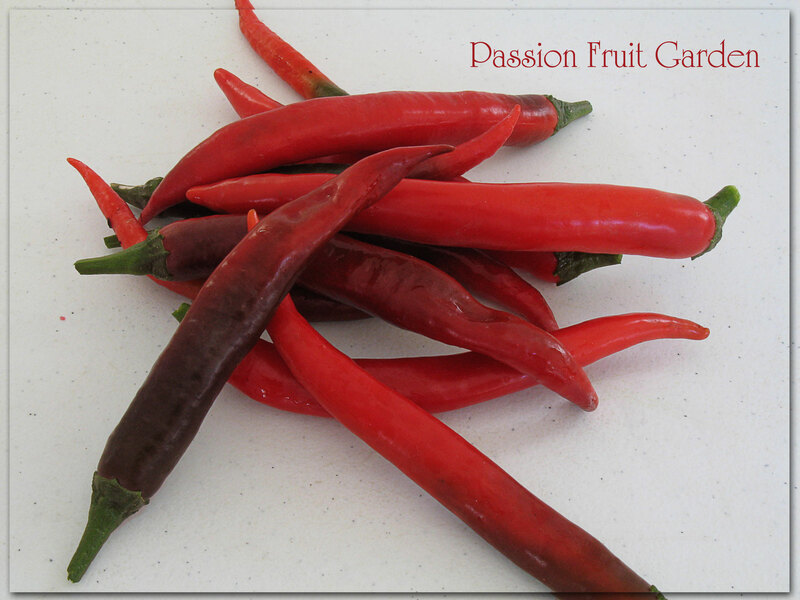 It is amazing how many chillies were needed to produce one small jar of powder. I dried them in the dehydrator and then whizzed them in my Vitamix. It is so simple and now I have something we can use. Isn’t it a wonderful colour? The chillies were deep red but the powder is decidedly orange. Strange. I don’t know what variety of chillies they are. If you do, I would love to know. Is my new frittata pan. Last Christmas, my sister asked for an omelette pan. She wanted the type that is hinged in the middle. 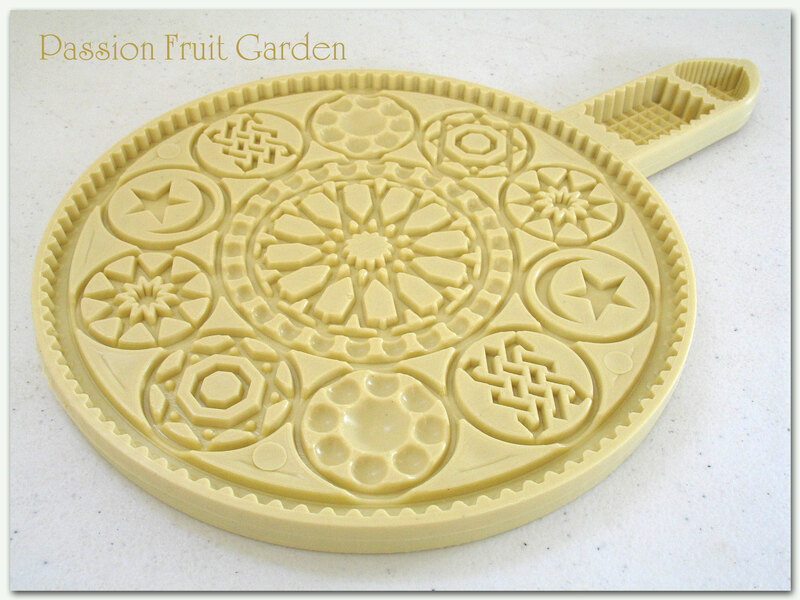 When I was trying to find them (they are not that easy to find), I came across this frittata pan. I liked the idea because it is, actually, two separate pans so you can use it for other things. They are made by Circulon. Anyway, last week I noticed Kitchen Warehouse had them on special for half price. I did a quick check on the Web and they are not readily available so I decided to buy one. It is pretty cool how the two pans latch into each other so that when you flip your frittata, it goes from one pan to the other. And when you want to make something small, you have a couple of very good quality pans. One is 8.5 inches and the other is 9 inches. I haven’t tried making a frittata yet but, if all else fails, I like the look of the pans. Are my new Fire King vintage custard bowls. I found them at the great second hand shop in Balingup. Fire King is an American brand, much like Pyrex. 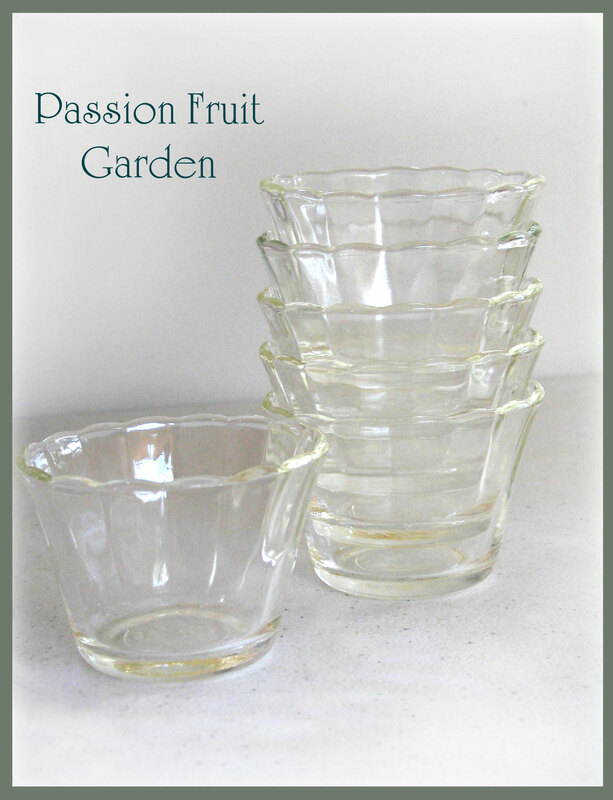 These little bowls are made of tempered glass so they are oven-proof. Because I had custard bowls, I decided to make a baked custard to try them out. 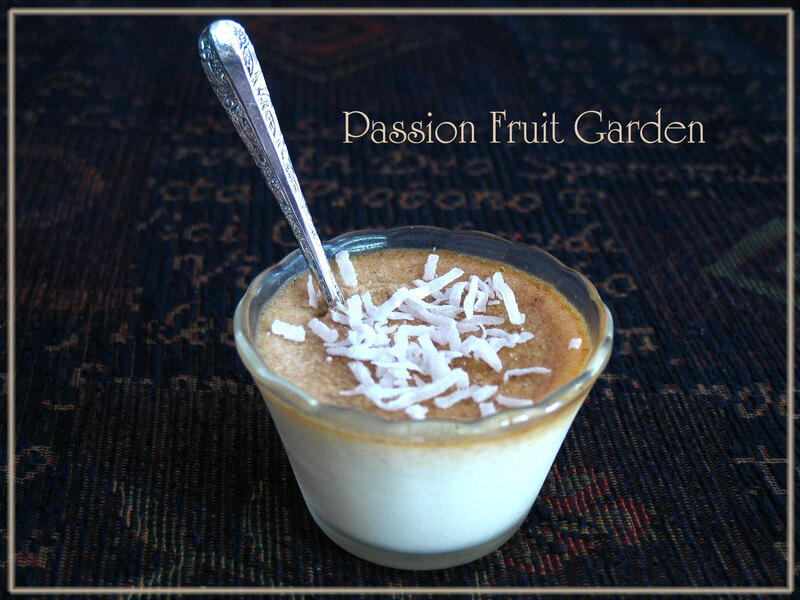 This is a baked coconut custard by Charmaine Solomon. Are these cute little soufflé dishes. We bought them at Peters of Kensington. They were so cheap. I haven’t any plans for them… but their time will come. 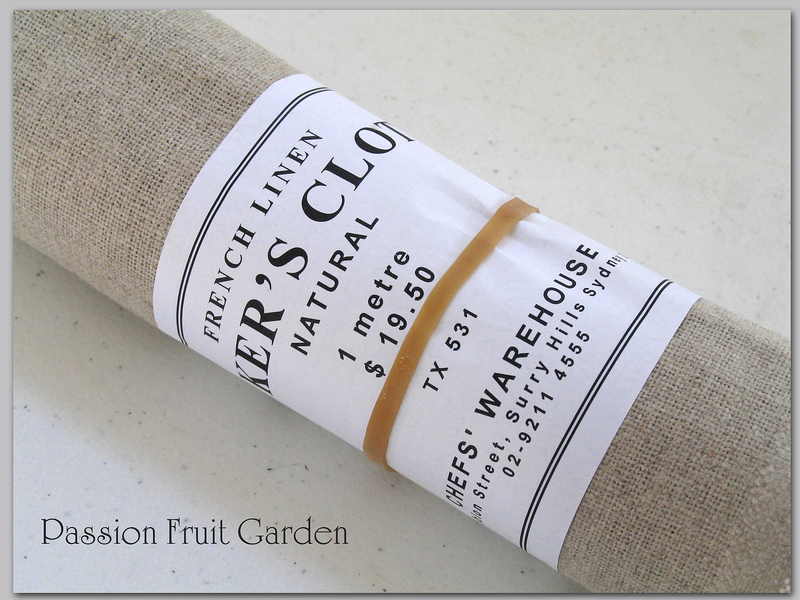 Is some French linen that Maus bought for me. It is for making baguettes. You concertina the linen, sprinkle it with flour and then use it to separate proving baguettes. Is some cheese cloth – another present from Maus. I wish I could tell you I was making cheese but, alas, this will, primarily, be used for draining yoghurt. 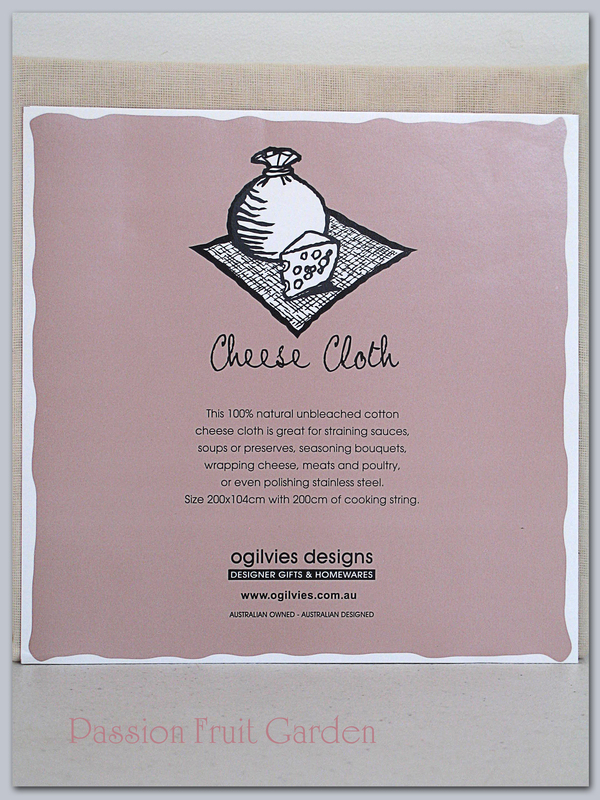 One day, I hope to make cheese but, in the meantime, cheese cloth comes in very handy. Are these cute little ties. You use them, instead of string, to tie your meat together. I can report that they, actually, do work. 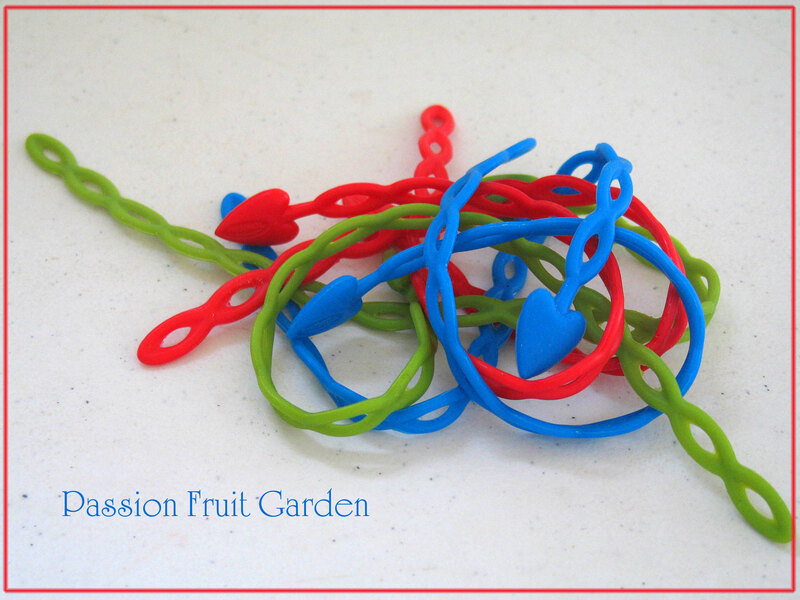 They are much simpler to untie than baked on string and can be washed in the dishwasher. As an added bonus, they are very pretty. If you would like to see what is in other bloggers’ kitchens this month, visit Celia at Fig Jam and Lime Cordial. Celia hosts In My Kitchen each month. This entry was posted in In My Kitchen and tagged Bread roll stamps, Bread stamps, Curing Olives, Fire King vintage custard bowls, Frittata pan, Making chilli powder, Making parsley powder, Parsley powder, Spelt sourdough bread by Glenda. Bookmark the permalink. I think I love everything in your kitchen Glenda! How do you make the parsley powder? Dehydrate and blitz? Clever. 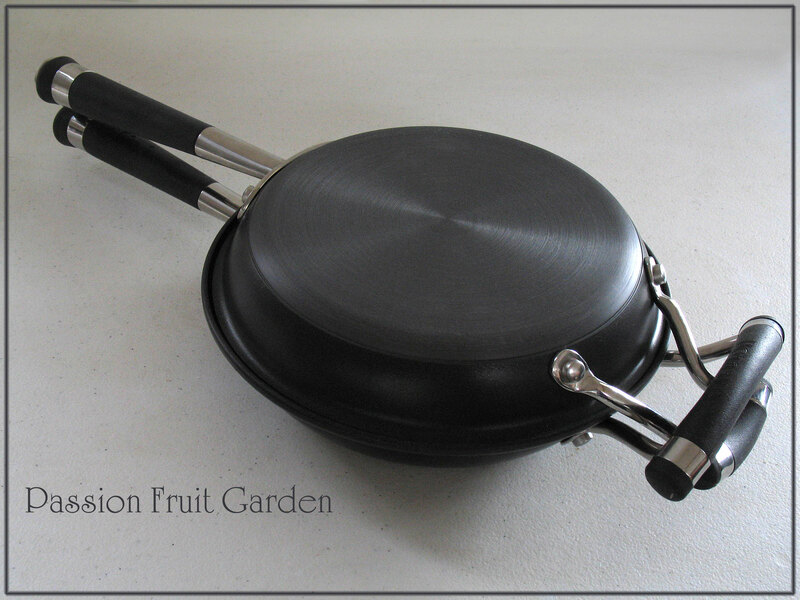 I like the frittata pan – I love Circulon and have quite a few of their pans. And have had for about 14 years. Very hardy! Hi Mel, you are spot on, dry and blitz. Thanks for stopping by and commenting. Hi Glenda, your kitchen is fantastic this month! I love rolls with the bread stamps, I’ve never tried them, and I have serious bread envy with your sourdough! The chili powder looks great, I wouldn’t have thought of doing it so I’m glad to hear how easy it is. Hi Jason, thanks for stopping by. 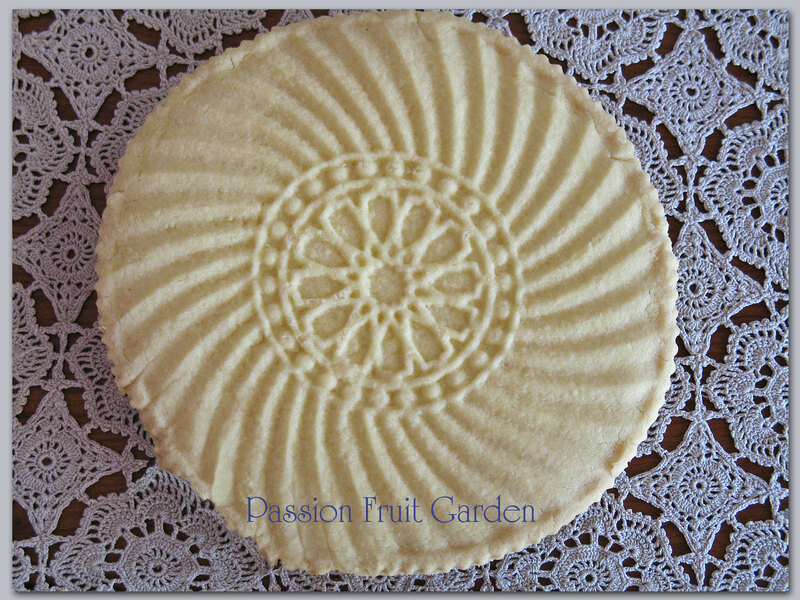 Glenda, the photo of your shortbread on that doily (or crocheted table cloth?) is so pretty. I’m also admiring your spelt bread — lots of “holes” to trap butter and jam and/or honey! I also like the handles on your multi-functional frittata pan(s) — easy to “flip” — and your new baking cups. Lots of IMK goodness in your post this month, as always! Hi Kim thanks for visiting. Hi Moya, thanks for stopping by. Hi Nicole, If you don’t have a powerful blender, you can always put your dried chillies in your food processor and get chilli flakes! Those are some fantastic rolls I’m staring at Glenda but I’m looking at those powders thinking how beautiful they are. You may think you had a miserable crop of olives this year but that looks like quite a load of olives to me. Love that stamp that Celia made you buy and now I’m thinking you’re doing a sales job on me with your frittata pan – I absolutely NEED one of those. You may look at that beautiful linen and think “make bread” but I’m looking at it saying “make placemats”. Great stuff in your kitchen this month. Hi Diane, I hope you are feeling better. Thanks for stopping by. wow 15 litres of olives from a bad crop is a pretty impressive amount Glenda! How much would you normally get? Hi Liza. I picked two buckets full. Normally we would have at least 10 times that much. I picked for about one hour last we Maus and I picked for 2 days. Hi Taryn, thanks for stopping by and commenting. Hi Becca, it really is a pity about spelt bread because it sure does taste great. Thanks for stopping by and commenting. G’day Glenda! Thank you also for this month’s kitchen view! LOVE your bread stamp, LOVE olives and can almost smell your rolls from here too! Hi Joanne. Thanks for stopping by. 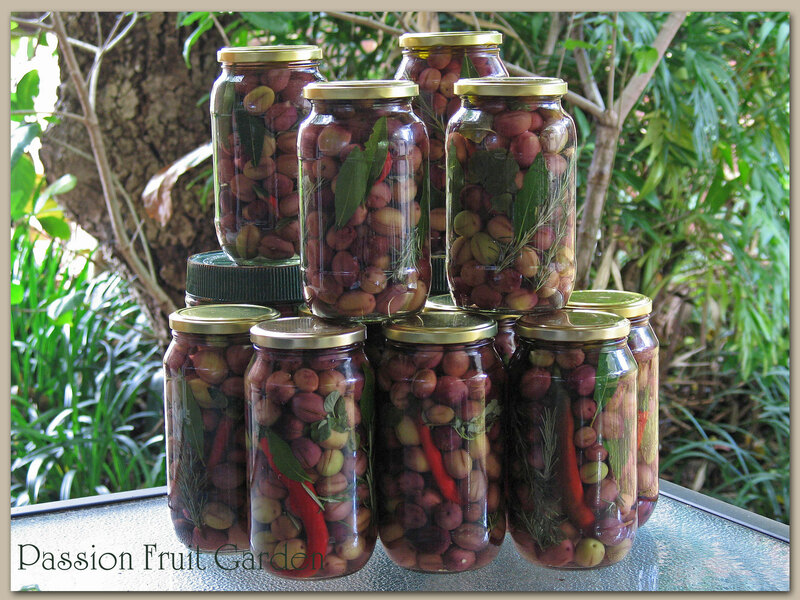 What a great idea to preserve the olives… they wouldn’t last long in our house. Very interesting about the spelt sourdough, I prefer the spelt flour yeast bread I made to white bread, and try to avoid fructans. I love the colours of the parsley & chilli flowers. Hi Ella, We have quite a few jars of olives in the pantry but I couldn’t let them go to waste. They will make someone happy. Wow!! A lot in your kitchen this month. I’m absolutely drooling. Not attractive, I know, but I can’t help it. Your breads and shortbread are so beautiful. I did warn you about the addictive nature of soap 🙂 Just to warn you though, I think parsley as a tendency to fade to a lovely (not!) brown with time. Oh no Tania, everything I touch turns brown. 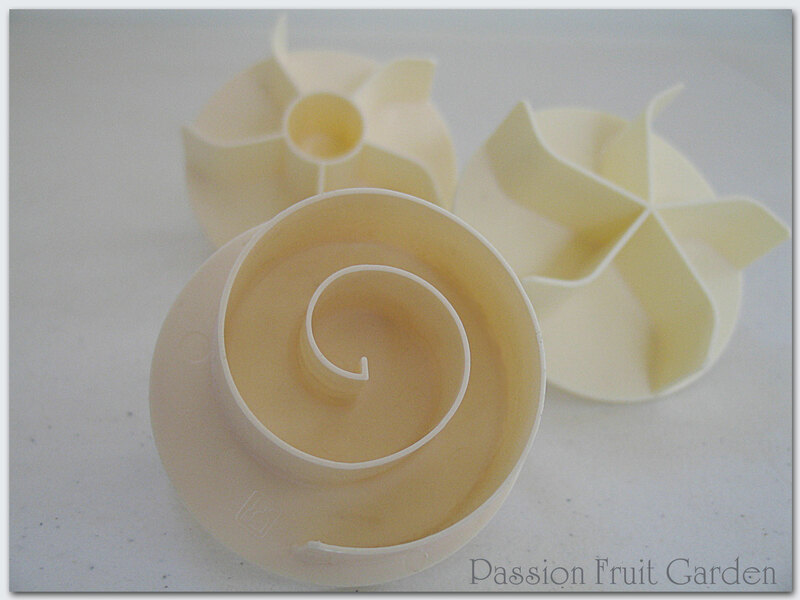 I just love all the vanilla fragrances and natural herb colourants and it appears they all produce brown soap. I can’t get over how much good stuff in your kitchen there is this month. I’m very envious of the bread roll stamps. I’m definitely buying some when I come to Sydney next. Hi Maureen, the bread roll stamps are so much fun. You must get some. Hiya, Celia, I promise 🙂 The spelt bread was weird, maybe I let it prove too long. Anyway, it tasted great. Hi Glenda, thanks for a look in your kitchen, your olives look amazing! Your cheese cloth is very posh, I am still cutting squares of muslin of the piece I use to swaddle my babies in, I must upgrade. I love the look of your shortbread, so pretty, it was a great idea. Hi Gail, Thanks for stopping by and commenting. I have been using cloth bags (Maus got from her work that stored head phones in many years ago) so the cheesecloth is a real upgrade. Cheesecloth is just so much classier than chux isn’t it? And huzzah for TIFFIN for suggesting the shortbread idea. It turned out so well and indeed, would be a welcome gift and much more entertaining that petticoat tails. Well done for another fab IMK, Glenda. You have so many wonderful gadgets in your kitchen this month and your productivity is amazing, with your own olives and soap too. the double sided frittata pan gets my vote- an ingenious thing. Hi Francesca, I hope the frittata pan works but even if it doesn’t, I still have two pans. Wow, so many wonderful things in your kitchen this month Glenda. You and Celia always have the most inspirational IMK posts. Have a beautiful week ahead. Fascinated by your frittata pan – must do a search for something similar here in the UK. 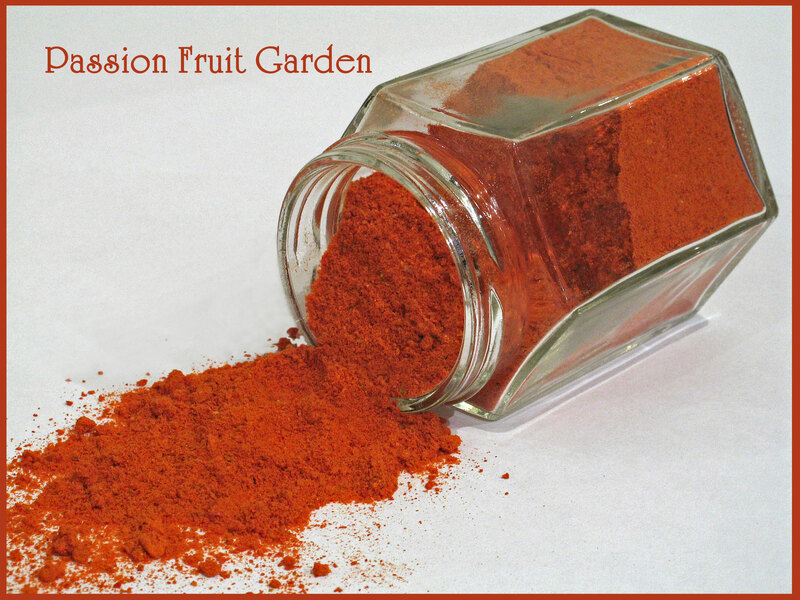 Beautiful colour of orange-red of the chilli powder. The mild green of the dried parsley is lovely, too. Can you use this in cooking as well as soap making? I have silicon “rubber” bands like your ties that I use in both the freezer and the oven – marvellous invention! Hi Debi, There would be no reason why you couldn’t use the parsley in cooking. I guess it is just more common to have flakes rather than powder. I love your Kitchen… Thanks for the Olive recipe as I was looking for a good one and I also have an abundance of chilli’s fresh and dried which I will now make into a powder! Do you have a dehydrator or do you just dry your chilli’s in the oven? Hi Elizabeth, I have a dehydrator which I use all the time. My oven goes all the way down to zero, so I could use that with the fan on but as I have the dehydrator I haven’t tried it. You have been busy Glenda, drying, preserving, baking. Even made with white spelt flour, my bread is always brown bread. Will you reveal your flour source? FYI, 2kg Mount Zero olives is $27 at my farmers market. I think you’ve done very well with your meagre olive crop. 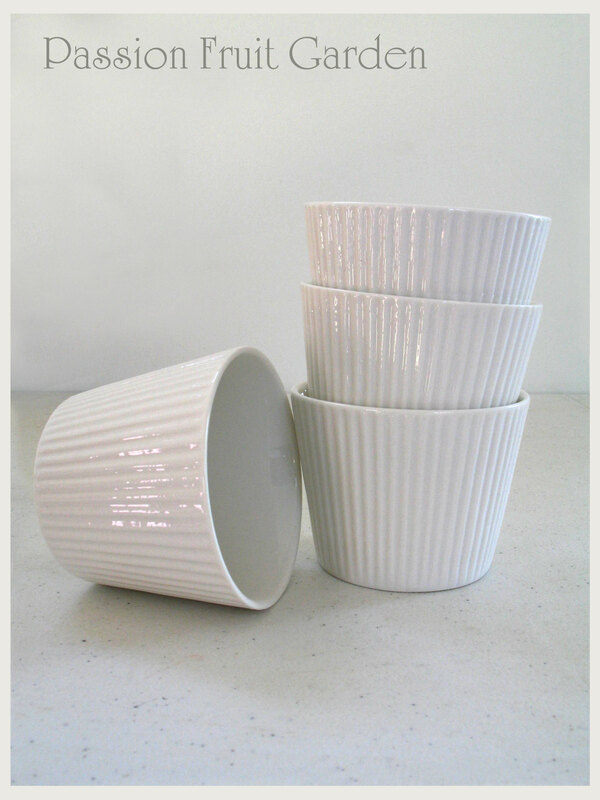 I’m madly coveting those custard pots! Hi Sandra, I don’t know the brand of the flour is. I bought it from Kakulas Sister in Nollamara. They have 25 kilo bags and you just help yourself. They had white and whole meal spelt flour. This is the white. Here is their telephone number 089440 0642 if you would like to ring or I can ring them tomorrow for you. Let me know. If you can’t get any your way, I could always post you some. Thanks Glenda I’ll call them tomorrow and see what I can organize. I appreciate your offer of help, I’ll let you know what eventuates. 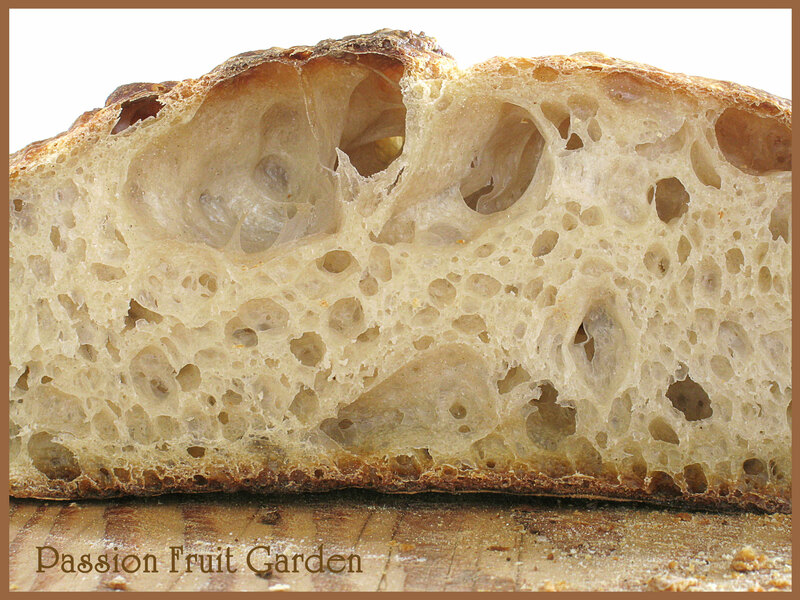 I can make fabulous focaccia and pizza bases and nicely textured sandwich bread. I persevered with your spelt bread recipe for ages, changing flours along the way, but sadly I always ended up with dense textured loaves. Changing proportion of starter to flour, thanks to Ann in mud splattered boots has helped enormously but my ultimate loaf if one like you have pictured in this post, real bread! Wow Glenda, you have been a busy bee! Love all of it, but especially those little pyrex-like custard pots. Very nice find! Happy cooking with all your goodies! Hi Liz. I love those little custard bowls. I didn’t really need them but who could resist? i love making soap too and like you i find there’s a limit to how much i can use and give away..love the dried parsley..i have a truck load that i’m planning on pulling out because it’s choking other plants so i’m going to try drying it too..did you use your dehydrator? Hi Jane, Yep, I dried the parsley in my dehydrator and then whizzed it in my Vitamix. I bought some teabags (empty) from Aussie Soap Supplies. They cost $2.00 for quite a few. I intend to put the powder in the bag and then infuse if for several hours in hot olive oil. I will then use the oil to make the soap. I will let you know how I go. I have so many ideas it may be quite a while before I do it. Lots of drying going on in your kitchen Glenda. Does the parsley make the soap smell too or just a beautiful colour and what are the meat ties made from? There always seems so much going on in your kitchen every month and always interesting to see. Hi Anne, I don’t think the parsley makes the soap smell, just makes it a pale green colour. The meat ties are silicon.